It seems like every day there are new signs of extreme wealth in Seattle. 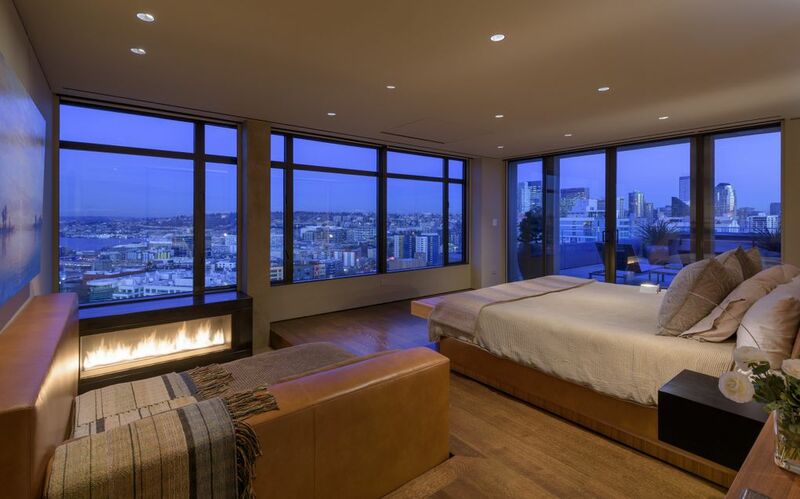 Here’s another big one: A Belltown condo sold this week for $12 million, the priciest condo sale ever in Western Washington. And the new owners, like the previous one, are techies who won’t be living there. It’s not your typical one-bedroom condo: The two-story penthouse suite at the Bay Vista building spans 5,700 square feet, bigger than most large houses. There’s another 1,500 square feet of terraces outside that wrap around most of the building, and it features rare 270-degree views of everything from the Space Needle and downtown to Lake Union and (on clear days) Mount Rainier. Those are at least partially protected by local restrictions designed to protect views of the Space Needle. Inside the ’80s-era 24-story building, at Second Avenue and Broad Street, the suite was completely redone down to the studs by a team of Seattle architects and interior designers over the past three years. The unit was for sale for two years at a price of $13.8 million. It comes with custom furnishings. 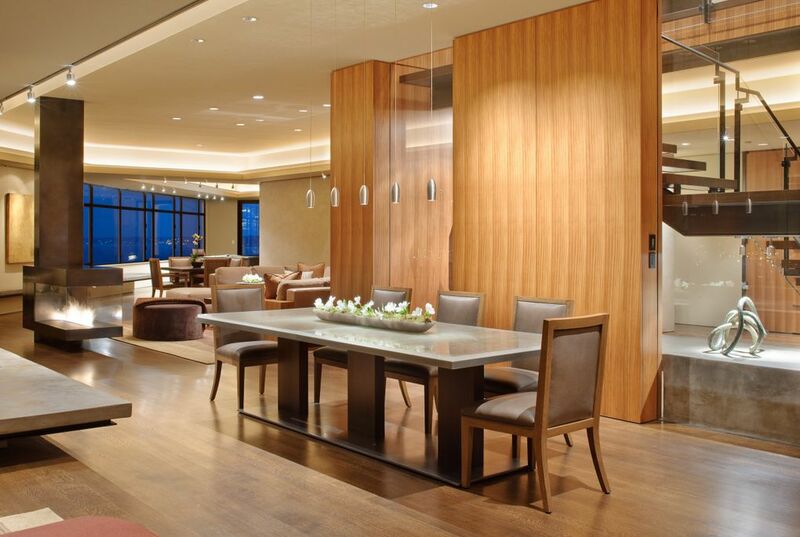 The sale comes a week after a condo sold for $9 million at the Four Seasons in downtown Seattle, another all-time top-five condo sale. As is often the case with high-end real estate, the buyers of the Bay Vista unit shielded themselves from public view, buying under the name “Belltown Skyline LLC,” which is registered to a post-office box in Medina. Jewell said the buyers are a couple who live on the Eastside and they also have property on the San Juan Islands. They plan to use the Belltown condo for entertaining, including potentially fundraisers. Jewell said the buyer are a husband and wife, with kids, and that the husband made his money in tech but now owns his own company. The seller is similarly private: It’s listed only as the “Aerie Trust,” operated by a Morgan Stanley wealth manager in Washington, D.C. The name is an apparent nod to a term for a high-up eagle’s nest. Jewell said the seller also did not live in the condo – he had envisioned doing so, but then got married and moved to California, retaining it as a pied-à-terre with a giant footprint. She said he, like the buyer, also worked in tech locally but now has his own company. “Both worked with all the big guys in our town,” she said when asked which companies they worked for. Moira Holley, who had the listing for Realogics Sotheby’s International Realty with her husband, Scott Wasner, also declined to name the seller. But she had plenty to say about the condo. The seller’s trust is registered to a $4 million house in the Silicon Valley suburb of Portola Valley. The name of the home’s owner has been redacted from public records under a California law that allows public officials and public-safety officers to keep their addresses secret. The trust has purchased at least two other pricey Silicon Valley homes in nearby Los Altos in recent years, totaling $9.87 million. Matthew Zaft, trustee of the Bay Vista condo seller’s trust, declined to comment. The condo last sold in 2005 for $5.6 million, from former Microsoft executive Gregory Riker and his wife, Janice, to the Aerie Trust. The Rikers bought it for $1.3 million in 1996. Although high-end sales don’t necessarily reflect the broader market because there are so few potential buyers, the overall price of condos has been soaring over the long term, as well. 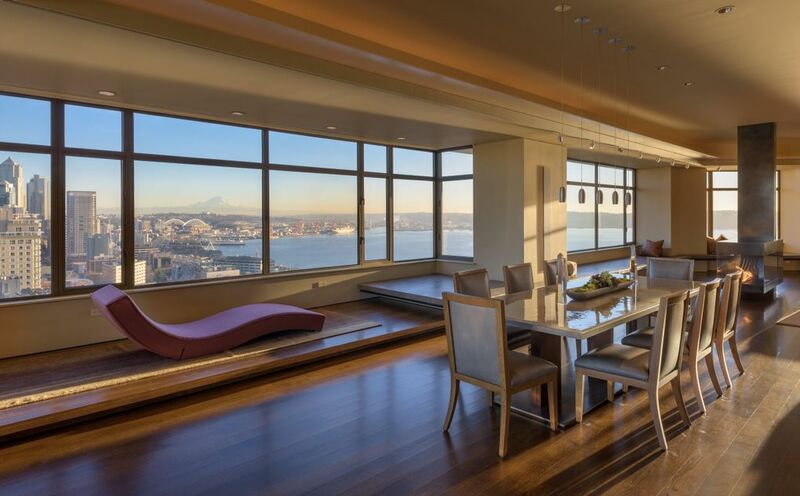 The median condo in King County the last time the Bay Vista penthouse traded in 2005 cost $271,000 in today’s dollars; now, it’s $380,000, a 40 percent increase after inflation. But more recently, condo prices have actually dropped 8 percent in the last year as the broader real-estate market has cooled. The Northwest Multiple Listing Service, which catalogs home sales in Western Washington, said the previous high mark for a condo sale was a $10.9 million purchase in Bellevue in 2000. (It’s unclear if any off-the-book sales not tracked by the MLS may have been pricier.) 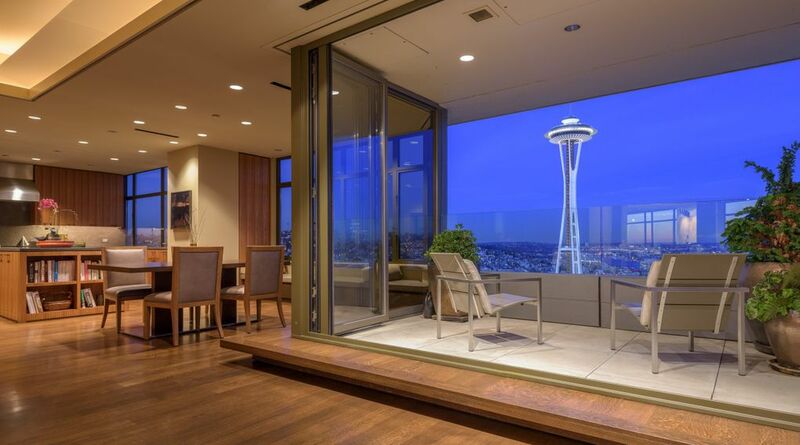 In Seattle proper, the old condo record was a $9.75 million sale in 2009. Across all types of homes, a Medina mansion set the mark for the priciest local sale ever last year at $26.25 million, also to a secretive buyer hiding behind an LLC. Nationally, the most expensive home ever was sold earlier this year in New York, when billionaire Kenneth Griffin bought a $238 million Central Park penthouse.